Individual video works will be available for view during normal gallery hours. MaRS is pleased to announce Regional, International & Extraterrestrial, a series of evening events featuring live performances and video screenings curated by MaRS’ own Associate Director and visual artist Lisa Jugert. The events will be programmed around a range of foci – the dramatization of domiciles, the negotiation of identities, the narration of histories, and the domestication of the extrinsic. There will be a BBQ and refreshments in our garden space after each screening. A detailed press release with the list of films and performances for each night is forthcoming. Patrick Michael Ballard is a Los Angeles based artist who works in a broad range of media. Foregrounding all of his projects as orchestrations, he evokes living images, objects, and mutated strategies of fantasy aesthetics to examine the power of unseen emotional architecture, collective narrative reverie, escape, and nostalgia into a theater of self paradox and absurdity. Ballard studied music and sculpture at Cal State Long Beach and holds a MFA from the California Institute of Arts, Los Angeles. His work has been featured around Los Angeles by Machine Project, Human Resources, Automata, and as a part of the Getty's Pacific Standard Time initiative. Hanna Bergfors grew up in Sweden and studied narrative and experimental film at the University of the Arts in Berlin. She is a producer, director and performer in the independent and queer-feminist cinema culture of Berlin. Bergfors co-founded the production collective Systrar Productions with Kornelia Kugler, with whom she has co-produced and co-directed several films. Bergfors' award winning films have been shown at a number of internationally accredited film festivals including the International Short Film Festival Oberhausen, Germany; Belo Horizonte International Short Film Festival; Molodist Festival Kiew, Ukraine; Ozu Film Festival Sassuolo, Italy; Mecal International Short Film Festival, Barcelona; Achtung, Berlin; Rencontres Internationales, Berlin. Milena Bonilla was born in Bogotá, Colombia, and is based in Amsterdam. Bonilla’s interdisciplinary work is concerned with questions that link economy, territory notions, transit and politics, with actions that touch everyday life. Bonilla holds degrees from Rijksakademie van Beeldende Kunsten, Amsterdam, and Universidad Jorge Tadeo Lozano, Visual Arts, Bogotá. Her work has been shown at The Mistake Room, Los Angeles; Valenzuela Klenner Gallery, Bogotá; Rijksakademie van Beeldende Kunsten, Amsterdam; Segunda Trienal Poligráfica de San Juan, Puerto Rico; Havana Biennial, Havana; Muca Roma Universidad Autónoma de México (UNAM), Mexico City; Bucharest Biennial, Romania; Bildmuseet, Umea, Sweden; Photographer's Gallery, London; amongst others. Her most recent solo show at The Mistake Room, Los Angeles, has just been reviewed in Artforum. 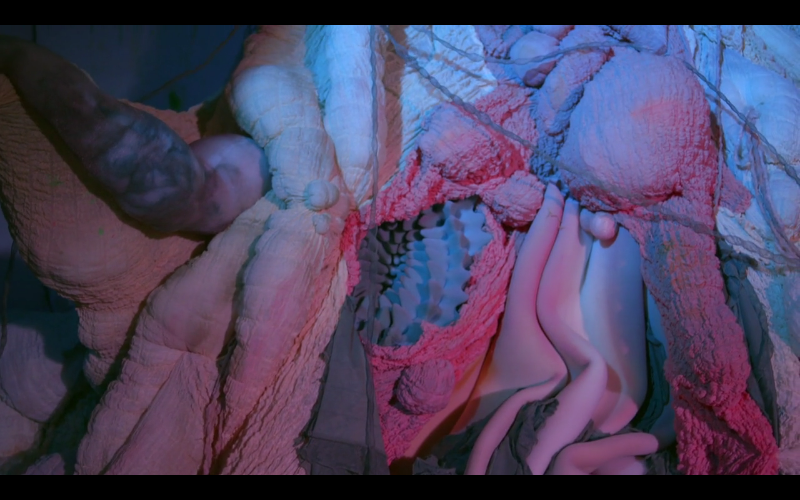 Megan May Daalder (US) is an interdisciplinary Los Angeles based artist who works primarily with video and performance. Her work is an ongoing search for identity in the context of science and technology. After a period of research, each project imagines a possible future and how it may, or may not, fulfill our most primordial needs. Daalder holds a BA from UCLA's Design Media Arts Department. Her work has been shown at Five Car Garage, Santa Monica; UCLA Art & Science Gallery, LA; Mains D'Oeuvres Gallery, Paris; Jack Hanley Gallery, NYC, the 14th WRO Media Art Biennale, Wroclaw, Poland; the Rotterdam International Film Festival; Kyoto City University of Arts Gallery amongst other international festivals and venues. Danielle Dean is an American born dual citizen of the US and the UK, who currently splits her time between NYC and Houston. Dean's video work is often concerned with observations on American culture filtered through a global perspective, challenging expectations of advertising, filmic narratives and questions of cultural identity. She holds a MFA from the California Institute of Arts, Los Angeles and studied at The Whitney Museum of American Art: Independent Study Program, NYC as well as Central Saint Martins, London. Her work has been shown at The Hammer Museum, Commonwealth and Council, Human Resources in Los Angeles; Tate Modern, James Taylor Gallery, Auto Italia South East in London; The Guggenheim gallery at Chapman University; Frye Art Museum, Seattle; Lasalle College of the Arts, Singapore. Margarethe Drexel is an Austrian multi-disciplinary artist currently based in Los Angeles. Her work often plays with the topic of heritage by raising questions about expectations through notions of home and romantic nature sceneries. She attempts to reveal hidden motivations through absurd chains of events and expectations that create shifts in perspectives. Drexel is currently attending the MFA program at Otis College of Art and Design, Los Angeles and studied at the Academy of Fine Arts, Vienna; Kunsthochschule Berlin-Weißensee, Saar University of Arts, Saarbrücken and Leopold Franzens University, Philosophy and Art History, Innsbruck. Her work has been shown at Bolsky Gallery, Selecto Planta Baja, Los Angeles; Lancaster Museum of Art and History Cedar, Lancaster; Kunsthalle am Hamburger Platz, Funkhaus und Uferhallen, Berlin; Semperdepot and Fluc Vienna; House of Cyprus, Athens; Cusanushaus, Bonn; Caochangdi Gallery, Beijing. Kelman Duran is a Los Angeles based artist and curator who was born in the Dominican Republic and raised in Washington Heights, NY. His work is informed by counter-histories that deal with power and political exclusion. He received his MFA from California Institute of the Arts, Los Angeles and was the Resident Curator at Otras Obras, Tijuana, Mexico in 2014. Duran's work has been shown at LACMA, REDCAT, Echo Park Film Center and Human Resources in Los Angeles; Viennale Film Festival, Vienna; Split Film Festival, Croatia; Bradford International Film Festival; Zinebi, Bilbao; Sensory Ethnography Lab at Harvard University, Cambridge. Tatiana Echeverri Fernandez is a Berlin based artist who was born in Columbia and raised in Germany. Her sculptures, videos, performances and fotograms are assemblages constructed through a complex process of layering and juxtapositioning. Obsolete objects and historical forms are reworked to suggest alternatives to their previous functions and ideological referents. Fernandez studied at the Kunstakademie Düsseldorf and holds an MFA from the Royal College of Art, London. Her work has been shown at Kunstverein Düsseldorf; Museum Ludwig, Cologne; Gagosian Madison Avenue and Lisa Cooley Gallery, New York; ICA, Carl Freedman Gallery, Bloomberg Space and Barbican in London; CCA, Glasgow; Gallery Casado Santa Pau, Madrid; L'Espace de l'Art Concrete, Mouans-Sartoux; Triangle France, Marseille; Akinci Gallery, Amsterdam; Outpost; Norwich. Linda Franke was born in Dresden and is currently based in Cologne. She is an interdisciplinary artist with a focus on video, installation, performance art and sound. Her work is posing existential questions in an often alienating combination of settings that are meant to challenge imagination. Her videos often include hyper artificial spaces that are created or modified with 3D programs and protagonists who are not clearly instructed about their roles and positions. Franke studied Fine Arts at the Universität der Künste Berlin, Chelsea School of Art and Design London and Bauhaus Universität Weimar. 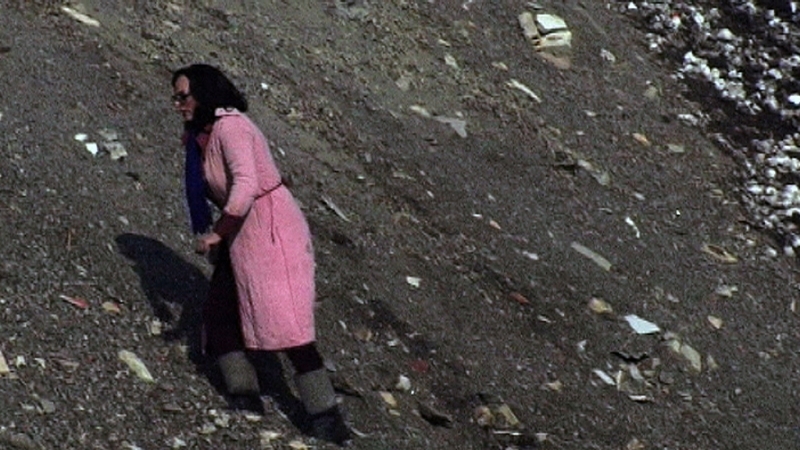 Her work has been shown at Georg Kolbe Museum, Schaulager Barbara Thumm, Galerie Eva Bracke and Westgermany in Berlin; W139, Amsterdam; Simultanhalle Cologne; Art Cologne; File Festival, Sao Paulo; Galapagos Art Space, New York; Moscow International Film Festival; CCA, Glasgow; Jiksiten Gallery, Nogoya, Japan; Myymäla, Helsinki; Soma Mexico City & Museu de Arte Contemporaneo de Monterrey, Mexico City. Alex Gross & Anna Mields were born in Berlin when it was a split city. Gross grew up on the west side while Mields did on the east. Today the couple is still based in Berlin and collaborates on many projects while continuing their individual practice. Their collaborations include video, installation and sculpture as well as running the independent art space Infernoesque. Their work is often concerned with changing ideas of Utopia and it's visual manifestations in art, architecture and every day life. Both artist attended the University of the Arts in Berlin and hold MFA’s from the Glasgow School of Art. Exhibitions include shows at the Tramway Museum, Transmission Gallery and Glasgow International Festival in Glasgow; Collective Gallery, Ediburgh; Kunst und Literatur Forum Amalienpark, Kunsthalle m³, HAU 1 and .HBC in Berlin; Raum für temporäre Kunst, Köln; Kunsthalle Rostock; New Wave Festival, Melbourne; Museet for Samtidskunst, Roskilde; Tankstelle, Kopenhagen; PIST, Istanbul and Crawl Space, Seattle. Claire Hooper is a British artist based in London. Hooper’s recent work has been concerned with Greek mythology, in particular the way in which Hesiod’s Theogony gives an anthropomorphic familial relation to matter and experience. Her practice touches on perception and experience in narrative, and how one immerses oneself in reading or watching, and in particular she has been interested in descriptions of interior spaces and how this relates to the interiority of fantasy. Hooper holds an MFA from Goldsmiths University of London and is enrolled in the the PHD program at the Royal College of Art London. Her work has been shown widely in Europe and abroad including shows at MUMOK, Vienna; Serpentine Gallery, Hollybush Gardens, Whitechapel Gallery and ICA in London; Art Statements, Art Basel; IT Park, Taipei; Kunstwerke and Galerie Kamm in Berlin; Lothringer 13, Munich and Portikus, Frankfurt am Main. 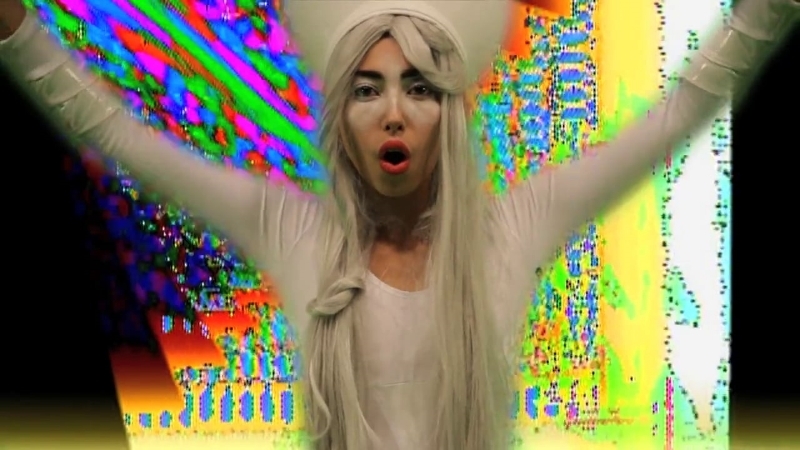 Jeepneys (Anna Luisa Petrisko) is a Los Angeles-based multimedia artist working primarily in sound, video, dance, and performance. Named after the iconic converted WWII army jeeps of the Philippines, she is of mixed race Filipina and Slovak heritage and her work focuses on the complexities of identity, memory, and language through a decolonizing and critical lens. Jeepneys holds a MA from the music program at the California Institute of Arts, Los Angeles. Her work has been shown at Pacific Standard Time Presents, REDCAT, Human Resources, LACE, Machine Project, ALOUD for the Los Angeles Public Library, Yerba Buena Center for the Arts, and the Avant-Garde Festival curated by Faust. She is a member of Black Salt Collective, which was recently awarded the 2016 Curatorial Commons Residency at SOMArts Gallery in San Francisco. Lisa Jugert is a Los Angeles based artist who spent most of her life in Germany. Her interdisciplinary art practice is concerned with the psychology of visual perception and conventions of representation. She explores historical and contemporary relationships to images and the way they are being used to generate meaning. Jugert holds an MFA from the Städelschule Frankfurt am Main and studied at the Glasgow School of Art and Academy of Fine Arts, Vienna. Her work has been shown at MAC, Birmingham; GSL Projekt, Westgermany, HAU 1, Galerie Barbara Thumm and Clarke Gallery in Berlin; Glasgow International Festival; Dependance, Brussels; Frankfurter Kunstverein and Das Städel Museum, Frankfurt am Main; Marburger Kunstverein; Explum Museum, Murcia; Casino, Luxembourg; Semperdepot, Vienna; F.A.I.T. Gallery, Krakow; Wetterling Gallery, Stockholm. 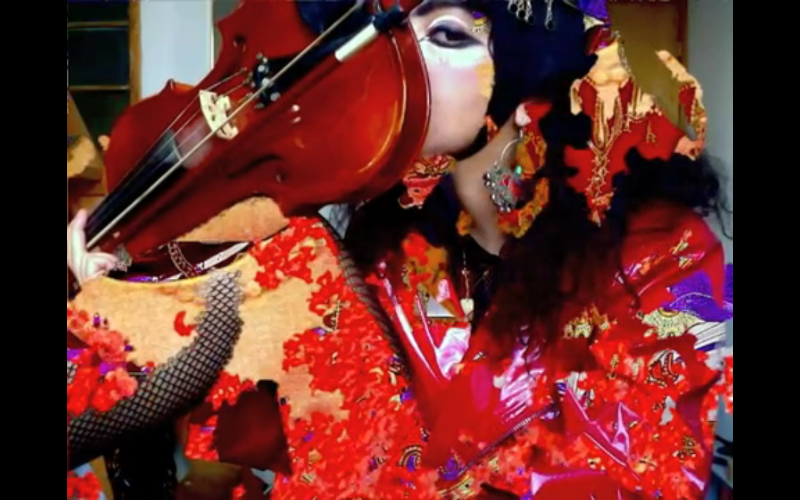 Sadaf H Nava is an Iranian born multidisciplinary visual artist, performer and musician based in New York. Her focus is the body, its extensions, resistance and confinement, vocal improvisation and the construction and deconstruction of identities. Sadaf’s practice incorporates a variety of mediums, often using formal explorations of movement and materiality through a dual urge for confrontational experimentation and narrative cohesion. Sadaf holds an MFA in Performance Studies from NYU and a BFA in Studio Arts and Photography from Concordia University, Montreal. She frequently performs in NYC and has presented work at 47 Canal, Issue Project Room, Silent Barn and Grace Exhibition Space in NYC; FIFA festival at the Museum of Fine Arts Montreal, Canadian Center for Architecture in Montreal; Nexus Cultural Center, Beijing. Fulham Palace, Auto Italia Live, Modern Art Oxford and Frieze art fair in London; International Project Space, Birmingham; Kunstbüro, Vienna. David Rych is a Berlin based artist and filmmaker who was born and raised in Austria. His work is preoccupied with the construction and representation of identity. His projects, videos and films explore the production of knowledge in relation to collective identities, personal and official narratives of history and their visual representations. Rych holds an MFA from the École Supérieure des Beaux Arts Marseille and studied at the Academy of Fine Arts Vienna, Bezalel University Photography and Media Department in Jerusalem, Israel as well as Studies of Art History and Architecture at the University Insbruck, Austria. His work has been shown at many international venues, including the Berlin Biennale at Kunstwerke, Berlin; Thyssen - Bornemisza Art Contemporary, Secession and MQ in Vienna; Grazer Kunstverein, Graz; Galerie im Taxispalais, Innsbruck; AGORA - Athens Biennale; National Museum of Contemporary Art (MNAC), Bukarest and the European Biennial of Contemporary Art, Murcia.